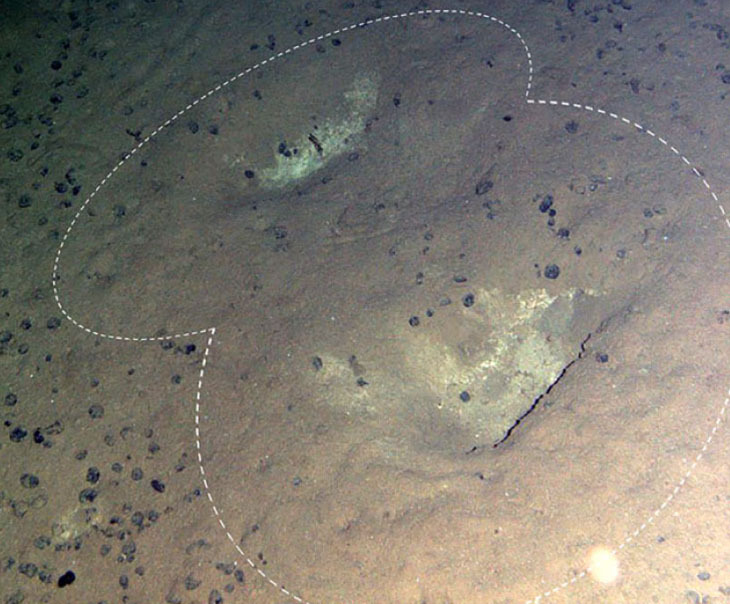 Whales may have made their mark on the seafloor in a part of the Pacific Ocean designated for future deep-sea mining. Thousands of grooves found carved into the seabed could be the first evidence that large marine mammals visit this little-explored region, researchers report August 22 in Royal Society Open Science. If deep-diving whales are indeed using the region for foraging or other activities, scientists say, authorities must take that into account when planning how to manage future mining activities. The Clarion-Clipperton Fracture Zone, or CCZ, is a vast plain on the deep seafloor that spans about 4.5 million square kilometers between Hawaii and Mexico. The region is littered with trillions of small but potentially valuable rocky nodules containing manganese, copper, cobalt and rare earth elements. Little is known of the seafloor ecosystems in this region that might be disturbed by mining of the nodules. So several research cruises have visited the area since 2013 to conduct baseline assessments of what creatures might live on or near the seafloor. A 2015 cruise led by Daniel Jones of the National Oceanography Centre Southampton in England is the first to find evidence that suggests that live whales may have dived down to visit the seafloor in the region. Using an autonomous underwater vehicle to scan the seafloor at depths from 3,999 meters to 4,258 meters, Jones’ team found 3,539 grooves in all. These depressions tended to be arranged into sequences of as many as 21 grooves, spaced six to 13 meters apart. It’s difficult to determine exactly when the marks were made, because sediment settles very slowly through the deep water to fill in seafloor depressions. The oldest marks were made within the last 28,000 years, the team estimates. But some newer tracks appear to overlap older tracks. No known geologic mechanism could produce the grooves, report Jones and his National Oceanography Centre colleagues, deep-sea ecologist Leigh Marsh and marine geoscientist Veerle Huvenne. But living creatures might: Some scientists, including biologist Les Watling of the University of Hawaii at Manoa and marine ecologist Peter Auster of the University of Connecticut at Avery Point, previously suggested that certain deep-diving whales, known as beaked whales, can make such markings as they use their beaks to forage for food hiding in the seafloor. The new research is intriguing, Watling says, but adds that the biggest question mark is whether a beaked whale could really dive so deep. “When we published our paper, we were extending the probable depth of diving of the whale by several hundred meters,” he says. 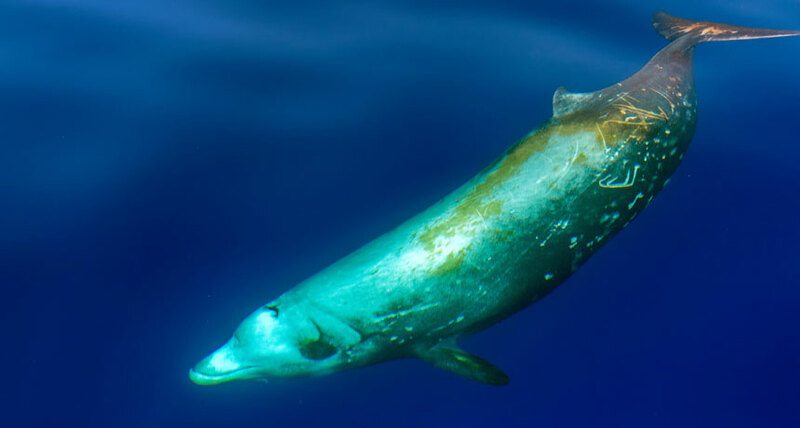 “These authors are doubling the depth that we talked about.” But, he adds, the new paper also points out that some anatomical studies suggest that a Cuvier’s beaked whale (Ziphius cavirostris), at least, may be able to survive a 5,000-meter dive. Auster adds that the researchers were careful to consider other possibilities for what might have made the markings and systematically eliminate those options, leaving only the whales. And that’s definitely a matter that prospective miners will have to pay attention to, he says. Before mining proceeds, he says, future seafloors studies in the region should include efforts to detect whales, using passive acoustic monitoring, for instance. “This is a huge finding,” says Diva Amon, a deep-sea biologist at the Natural History Museum in London. She has previously cataloged a wealth of seafloor life in the CCZ, including new genera of jellyfish, starfish and sponges. That abundance may be attributable to the variety of sediment types in the region, she adds: Soft seafloor sediment and hard rocky nodules offer numerous places for life to get a foothold. But whales can be a game changer, because large, charismatic marine mammals can garner public attention in a way that smaller seafloor-dwellers don’t, she says. Although the new study can’t pinpoint when the grooves were made, she says, “this is why more work needs to be done.” Even if the observed grooves were made by whales thousands of years ago, the whales’ behavior may not have changed significantly in the ensuing years, given the stability of the deep-sea environment. “I would expect that if they were [making the depressions] a couple of thousand years ago, they’re probably still doing it now,” she says. To date, the International Seabed Authority, the organization that oversees both mining licenses in international waters and environmental regulation of those regions, has issued 16 exploration contracts within the CCZ. Contractors working in the area must record marine mammal sightings within surface waters, as well as sightings of migratory birds, Amon says.